The latest trailer has officially debuted for the upcoming Star Wars sequel—Episode VII—which is titled Star Wars: The Force Awakens. Check out the suspenseful new clip below and leave us a comment with your thoughts. 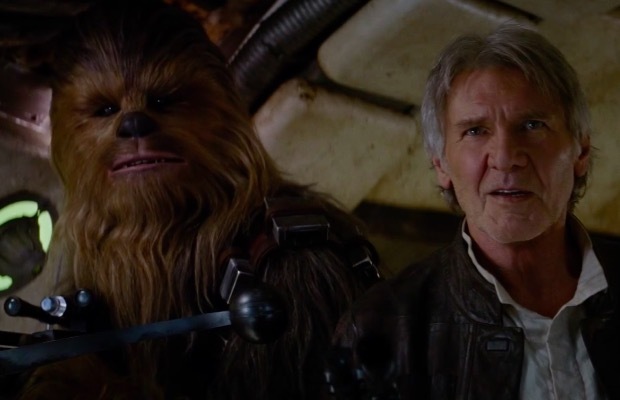 According to a report from Entertainment Weekly when the first trailer debuted, the new film will pick up 30 years after the events of Return Of The Jedi and stars Harrison Ford, Carrie Fisher, Mark Hamill, Kenny Baker (R2-D2), Peter Mayhew (Chewbacca), Anthony Daniels (C-3PO), Lupita Nyong’o (12 Years A Slave), Gwendoline Christie, Adam Driver (Girls), Oscar Isaac (Inside Llewyn Davis), John Boyega (Attack The Block), Daisy Ridley, Andy Serkis (Rise Of The Planet Of The Apes), Domhnall Gleeson (About Time) and Max von Sydow (The Exorcist).